Rotisserie chicken makeover? A little blush, a new outfit? What? Store made rotisserie chicken is everywhere, and a very convenient way to serve a meal quickly. But what do you do with any leftovers you might have? 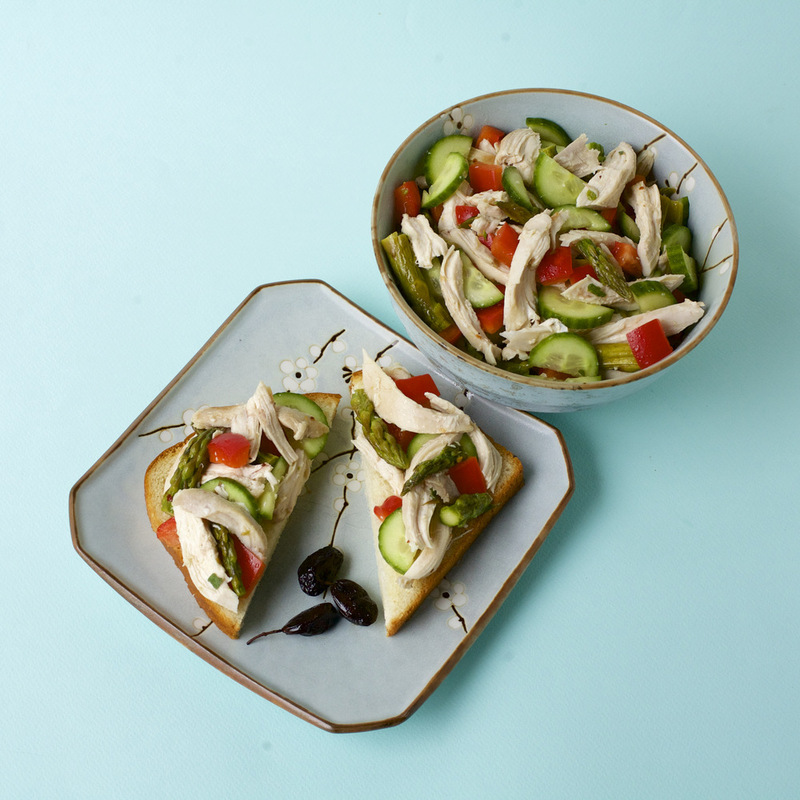 I am doing a series of recipes on Mom.me about what you can make with rotisserie chicken, whether leftover or bought just for use as an ingredient in something else. Head over to my Mom.me page for the recipe. 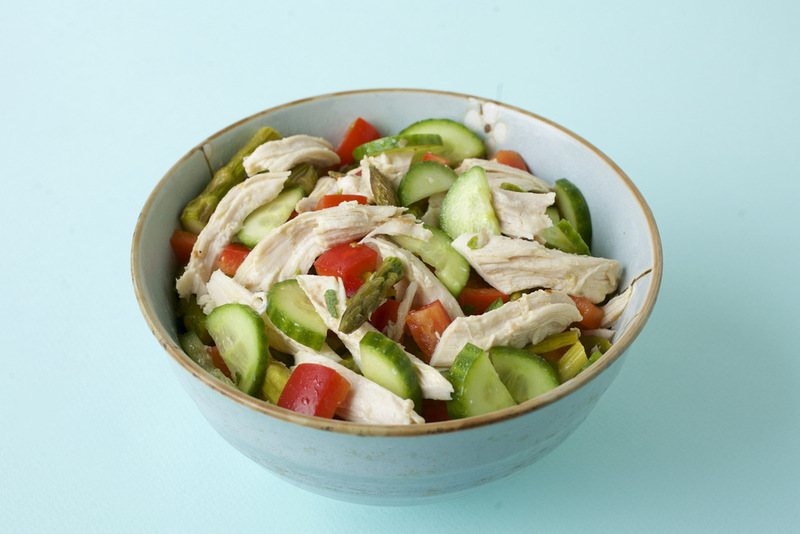 First up is Chicken Salad with Roasted Asparagus, Red Pepper and Cucumber.